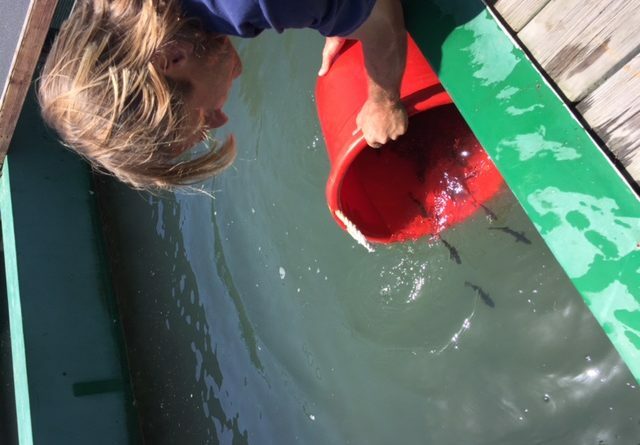 The Hubbs-Sea World Research Institute (HSWRI) delivered thousands of fingerling white sea bass to Balboa Angling Club in Newport Beach on April 28. Two truckloads of white sea bass pulled up in front of the club’s building at Balboa Peninsula and nearly one dozen people helped unload the little fish from the storage tanks. 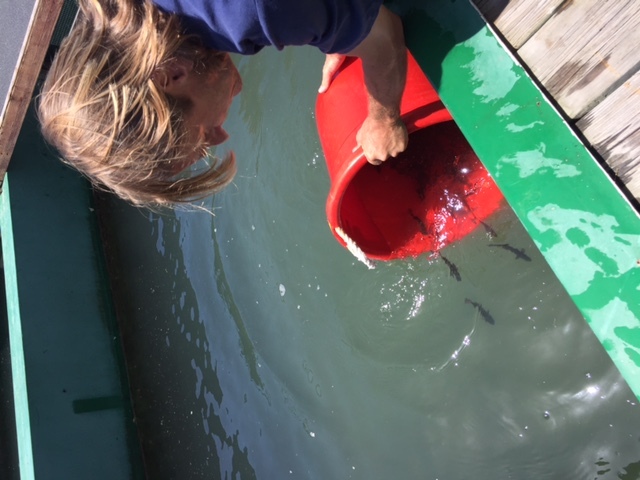 Once out of the tanks the white sea bass were transported in tubs of water to a pen about one mile away from the club, where HSWRI staff unloaded the tubs into the harbor. The fingerlings will be raised and then released later this year, growing to about 12 inches in size. Each fingerling has a microscopic tag planted in its head. Anglers can bring the fishhead, with the tag still planted inside, to a HSWRI venue whenever the grown sea bass is caught.